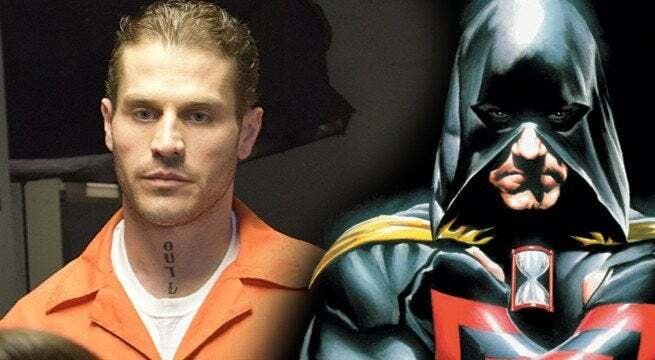 DC Universe's Stargirl has just revealed another big casting, as it's now been reported that S.W.A.T.‘s Lou Ferrigno Jr. is joining Stargirl as the Golden Age version of Hourman. "Specifically, Ferrigno Jr. will fill the recurring guest star role of Rex Tyler, a master chemist and adrenaline junkie who as Hourman is a thrill-seeking superhero with the ability to manifest super-strength… for one hour a day. A founding member of the Justice Society of America, Rex/Hourman struggles with balancing his life as a hero and father." Geoff Johns is helping to shape the series, as Stargirl was the first DC character who helped propel his career, making this a "passion project," indeed. In just the last month or so, Stargirl has been stacking up cast members, including School of Rock's Brec Bassinger as Courtney Whitmore / Stargirl; Community's Joel McHale as Starman; as well as Anjelika Washington (Young Sheldon), Yvette Monreal (Faking It) and Christopher James Baker (True Detective) in undisclosed roles. The DC Univerese lineup is off to a good start thanks to Titans, which seems to be holding fan interest and creating buzz from week-to-week, establishing a core DCU heroes and mythos to expand upon. That expansion has already included launching a back door pilot for Doom Patrol, which looks to be a much different experience than what Titans provides. It will be curious to see how Stargirl's storyline (which involves her training a young group of superheroes in a mix of modern / Golden Age Justice Society of America heroes and villains) adapted for DC Universe. One would imagine it would be much lighter in tone than Titans - kind The Flash to Titans' Arrow, if get what we mean. The story of old world / new age conflict and reflection seems especially timely right now, as the world is going through all sorts of pivotal culture wars, in the struggle to plot the course to the future. We'll keep you updated about the development of DC Universe's Stargirl.